They say that the best camera is the one you have with you at the right moment, and your smart phones are the best cameras as they are always with you. There is an abundance of iOS applications for the iPhone, iPad, and iPod touch to serve almost every purpose to the users. When it comes to transferring your photos, iTunes has never been one of the best available options from Apple‘s mobile device process. The most tiring way is to emailing photos back to your PC all the time, instead of using the super-cool applications available to ease you and automate the process. Imagine a situation when you need to transfer photos from your iPhone to your computer, and you consider e-mailing those photos to yourself...even a thought makes one tired! Instead of emailing those photos to yourself or some other clumsy solution, you could just use the user-friendly applications shared in the article and your photos would immediately be sent to your desired destination. Let’s know some of the excellent applications for the purpose. Transfer iPhone/iPad/iPod touch music, videos and photos to Mac and iTunes. One-click backup to iTunes and manage your songs, videos, and photo albums. Copy music from iPhone, iPod, iPad to Mac or iTunes. Export videos from iPhone, iPad, iPod to iTunes/Mac. Transfer all photos from photo album to Mac or iTunes. Copy playlists with rating and play counts to iTunes. iSkysoft iTransfer for Mac is an ultimate media management solution for your Mac. It allows you to transfer music, videos, playlists, and photo quickly and in a super-easy way. You can convert various file formats including AVI, VMW, and DivX to iOS compatible files following a few easy steps. It offers equally quick and easy way to import music within seconds. It smoothly copy files from my iOS device back to the Mac. 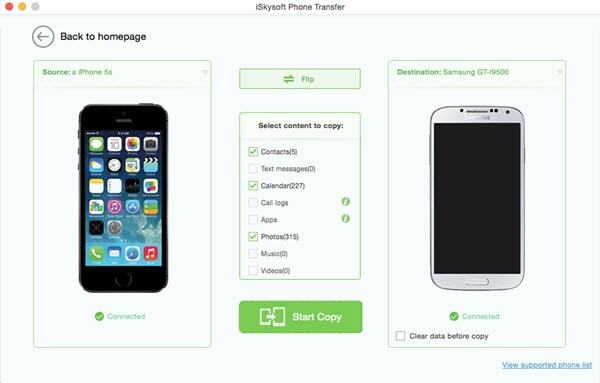 With iSkysoft iTransfer, all files and import operations can be performed manually, selecting what you want to copy either to or from their iOS device. All this can also be accomplished via one-click from the "Toolkit". Are you dubious as to why you really need such an application? While some may find they do not possess any need for such a utility but this application is great tool for your Mac and iOS user’s toolbox for copying and converting files that iTunes and iOS don’t natively support. iTransfer fulfills its all commitments and offers you super-friendly user interface that makes your copying and converting needs super-friendly. Anyone can handle it to get data from iPhone (iOS 8 supported) to computer. 3 Transfer Modes: Allows to transfer data directly from iPhone, iTunes backup and iCloud backup to computer. Up to 16 File Types: Transfer text messages, iMessages, contacts, photos, videos, notes, etc. Various Data Loss: Also recover data lost for deletion, factory settings restore, jailbreak failure, iPhone lost or broken, etc. Preview: Lets you read and preview found data before recovery. Flexible Recovery: Selectively transfer any item you want from iPhone, iTunes and iCloud backup files. iSkysoft iPhone Data Recovery is more than a data recovery tool. It can help to scan and transfer data existing on your iPhone to PC or Mac. All you need to do is to connect your iPhone to the computer and run the program. The whole process can be done in 3 simple steps: scan, preview and transfer. Besides transfer data from iPhone to computer, it also lets you transfer data from your iTunes or iCloud backup file to your computer when you have a need. The data you can transfer include Contacts, Photos (including camera roll, photo stream, photo library and app photos), Messages threads, Calendar data, Notes, Reminders, Voice Memos, call history and voice mail, and more. As its name refers, it can help to find your lost data when you have such a requirement. Before you recover or transfer the data, you can preview every detail of the data found by the program, so that you can decide which you want and which you don't. It offers you a flexible way to manage your data on your iPhone or in your iTunes/iCloud backup file. With Kicksend, you can send photos or photo albums through email or SMS directly from your iPhone with just a single tap. Kicksend offers the best way to keep in touch with your loved ones, whether you’re a few miles or a few oceans away. You can view or download photos from any device, anywhere and anytime. Now, easily send prints printed on premium archival photo paper to anyone's doorstep and that too straight from your phone. Kicksend offers free shipping on order of 10 or more prints!. 	It is super easy and to use. 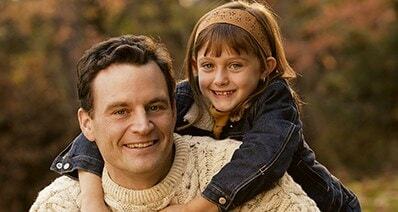 	It offers convenient way to send pictures to family. 	It is the fastest way to share and print your pictures. With PhotoTransfer Wi-Fi, you can transfer Camera Roll content wirelessly and without any hassle. With PhotoTransfer Wi-Fi is ranked among the TOP 10 Photo &Video apps in 55 countries. With a simple drag and drop feature of PhotoTransfer Wi-Fi, you can send photos and videos from one iPhone to other iPhone. You can also download photos and videos to your computer from any iDevice. With PhotoTransfer Wi-Fi, You do not need for any external server to transfer media over your local Wi-Fi network. 	Very convenient to transfer photos between iPhone to PC without using iTunes. 	Fast and easy to learn and use. 	Well-designed with step by step tutorial. 	The application crashes at times. Chirp is an innovative way to share your stuff. This application shares your stuff using sound. You can share photos, links, notes and more: all from your built-in iPhone speaker. Chirp 'sings' information from one iPhone to another. This application lets you send information over the air to anyone running the app near you. You need to run Chirp application on your phone to receive Chirps from another phone. Along with that, sharing requires a network connection. Chirp works in noisy places too. 	It's a quick and easy way to transfer files. 	Full of fun and easy to use. 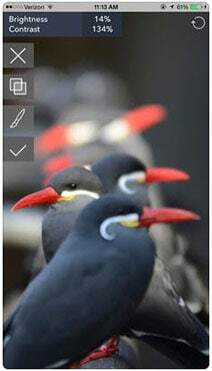 	Great tool for sharing pictures and videos. 	Easy share of photos with groups of friends. Photo Transfer Pro allows transfer of photos, videos and other media content between your iPhone, iPad, Mac or PC. It facilitates transfer using local Wi-Fi network. It can access your photo libraries via Wi-Fi from any computer with a web browser on the same Wi-Fi network. 	Transfer multiple photos and videos at once. 	Easiest to use and fastest. 	No support for iOS 6. With Shutterfly, you can order prints and photo gifts of your iPhone, Facebook, Instagram and Shutterfly photos. 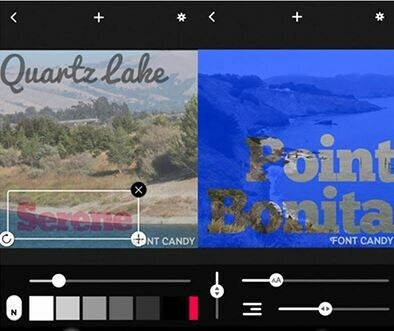 You can also add filters to your prints and gifts. You can create a beautiful collage of photos and make an order for a collage on any of Shutterfly photo gifts with its photo collage builder. Shutterfly is an easiest way to upload iPhone photos, and you can view your Shutterfly pictures anywhere, anytime. Shutterfly also facilitates photo sharing by e-mail and post/share photos to your site or Facebook. 	Do not facilitate videos upload on share sites directly.